IFA is just around the corner. Europe’s largest consumer electronics trade show is back for another year to showcase the latest and greatest tech from the biggest manufacturers. The event will be happening in just a few days, so read on to find out what will be happening at this year’s show. IFA presents the newest devices and latest innovations from around the world; taking place in Berlin, Germany. The IFA dates have been set for 2017 between September 1-6 at the Messe ExpoCenter (though it opens for the press a little earlier). This massive venue saw around 240,000 visitors and 1,800 exhibitors during six days of presentations last year, and we expect the same this year. IFA is one of the oldest industrial exhibitions in the world, starting in 1924 and going through to 1939. Following the end of WWII, it picked up where it had left off in 1950. 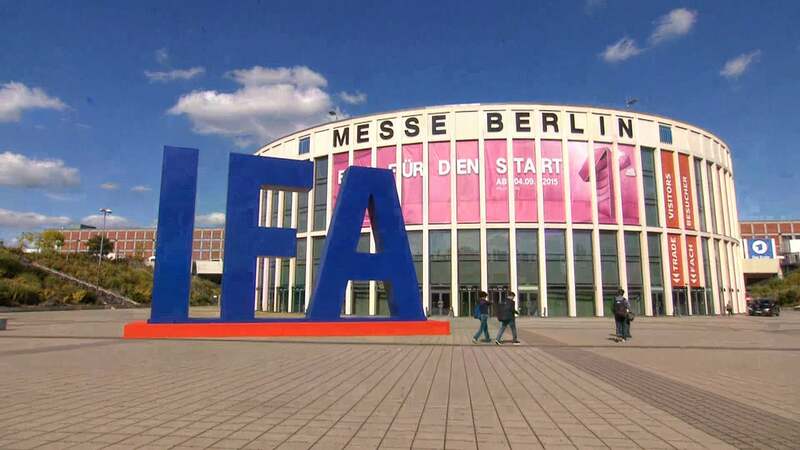 IFA stands for ‘Internationale Funkausstellung’ which is German for ‘International Radio Exhibition’. In the past, it was a biennial event but starting in 2005 became an annual event. In 2003, IFA was the largest consumer electronics fair in the world with 273,800 visitors to more than 1,000 exhibitors. There was over $2.8 billion in placed orders for products. It also has an average of 6,800 accredited journalists from 78 countries – and AndroidPIT will be there in force. When is IFA 2017 and how do I get in? IFA 2017 is happening from September 1-6 at the Berlin ExpoCenter. Once tickets go on sale, you will be able to pick up one-day IFA tickets to the exhibition for around the same price as last year: 17 EUR (about $20). Other options including packages with Berlin public transportation should also be available. Also worthy of note, according to ECI News, some IFA visitors will get a special souvenir this year: a 3D-printed mini model of themselves. 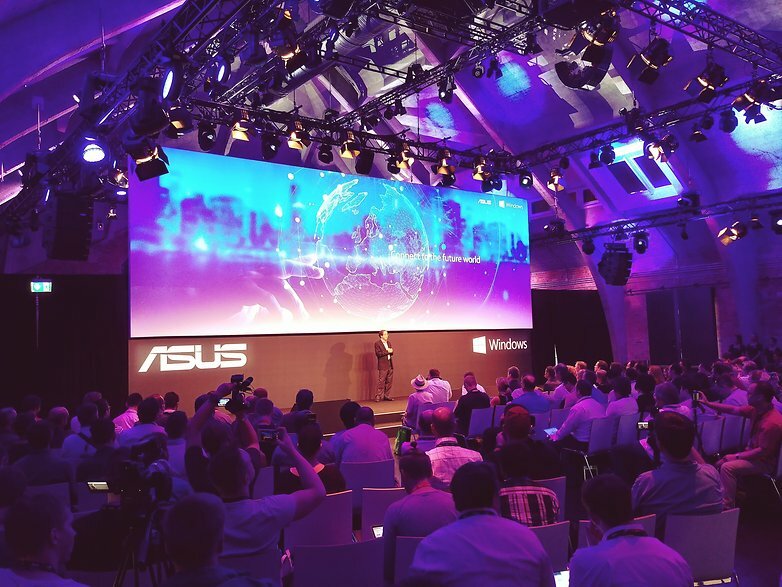 On August 30, Asus announced several new notebooks at IFA: the Zenbook Flip 14 and 15, and the VivoBook Flip 14. It also introduced its own Windows Mixed Reality Headset. Samsung’s Unpacked event is on August 30, at 6 PM in Berlin (that’s 12 PM Eastern in the US). You can get the details on how to watch the recorded live stream video here. The Note 8 has made its debut already, and while it might just be the highlight of the Samsung booth at IFA, we got to see some new things as well. Namely, we got our hands on the just revealed Gear Fit 2 Pro, and the new Gear Sport smartwatch, as well as the 2018 version of the Gear IconX. All of this ‘wearable wellness’ is a great opportunity for Samsung to get a bigger piece of the pie before the next Apple Watch comes out. LG at IFA: Will the V30 challenge the Note 8? LG will unveil the V30 at 9 AM on August 31 in Berlin. A live stream video will be available, and you can get. If you’re watching from the US, it’ll be early, though – 3 AM Eastern time. 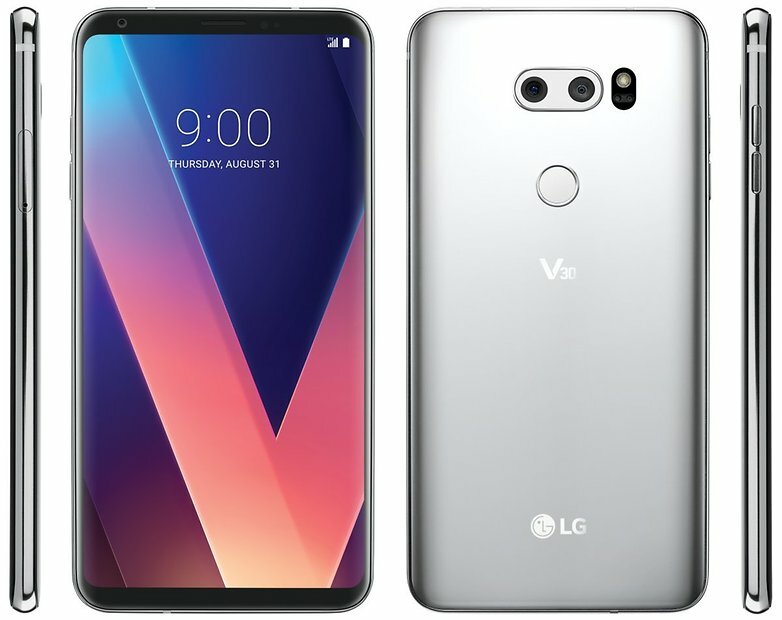 LG usually releases the new versions of its V series in the second half of each year, and there’s no better way to catch the eye of the masses around the world than to debut a smartphone at IFA. LG isn’t resting on its laurels after the LG G6. The big reveal is set to happen a day before the event begins, on August 31 at 09:00 AM local time. The V30 will be launched first in South Korea for around $699. It’s expected to skip the secondary display this time around, and it could pose a challenge to the newly revealed Samsung Galaxy Note 8. At IFA 2016, Sony revealed the Xperia X Compact and Xperia XZ. At MWC 2017, it revealed the Xperia XZs and XZ Premium, along with the super mid-range Xperia XA1 and XA1 Ultra. So, what does the company have up its sleeve for IFA 2017? Sony will present at least two new Xperia smartphones at IFA 2017: the Xperia XZ1 and XZ1 Compact. The Motion Eye camera from the XZ Premium will be the focus of both. Fans of compact smartphones will be glad to hear that rumors point to a return to premium specs for the 4.6-inch XZ1 Compact. The Xperia XZ1 is expected to be 5.2 inches and have identical hardware. At last year’s IFA, Lenovo presented the modular Moto Z Play and the unique Yoga Book tablet. And during MWC 2017, the Taiwanese company presented the Moto G5 and G5 Plus and set a fresh course for this mid-range series to become state-of-the-art. At IFA 2017, Motorola is expected to launch its X4 smartphone with a dual camera, curved display and Snapdragon 630. Plus, the Moto Z2 Force, which was recently introduced in the US along with a 360 degree camera mod, may be a highlight. Apart from smartphones, we may see notebooks, PCs, servers and more from the Lenovo Yoga and ThinkPad brands. We also expect some mixed reality tech and voice assistant speakers. At last year’s IFA, Huawei presented two new smartphones, the Nova and Nova Plus, in addition to the 8.1-inch MediaPad M3tablet with Harmon / Kardon stereo speakers. Given that it launched two mid-range smartphones at IFA last year, and it already came out with the P10 flagship in February, it’s not likely that we’ll see a high-end smartphone from Huawei at IFA 2017 – but we may see some lower-end phones or a tablet this time around. HTC has six to seven smartphones planned for 2017, of which three are accounted for already: the HTC U Play, HTC U Ultra and the HTC U11. Given that the flagship and mid-range have been covered already this year, we may see some more affordable offerings from HTC at IFA 2017. 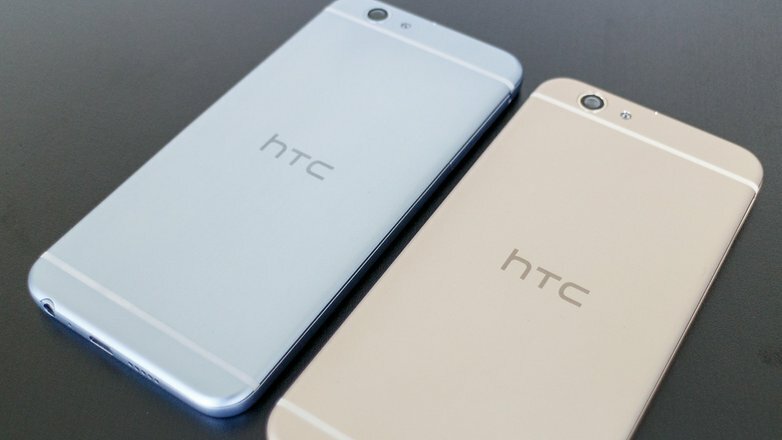 At last year’s IFA, the company introduced the mid-range HTC One A9s, which looked very similar to the iPhone 6S. Perhaps we’ll get another stylish addition to the lineup, or even a Vive-branded smartphone. There are even rumors of a mini version of the HTC U11 flagship called the HTC U11 Life (codenamed Ocean Life). Microsoft is planning to launch its new Windows Mixed Reality headsets during IFA, and it may hype VR at the event as we head into the holiday season. The headsets will be from HP, Lenovo, Dell, and Acer. Motion controller and headset bundles will start at the relatively low price of $399. So what do you want to see this year at IFA? Let us know in the comments below.